Graphics Card Need a really powerful graphics card with abundant graphics memory for professional usage such as product design, 3D visualisations etc? 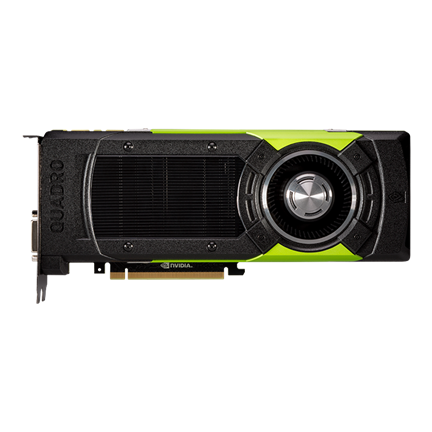 Then you should note that several Nvidia Quadro M6000 graphics cards have recently received a performance boost. The internal GPU memory has doubled from 12GB GDDR5 to 24GB. The other specs remain the same, including the Maxwell GM200 processor with 3072 CUDA cores. In addition to the memory upgrade, the new Quadro M6000 offers better control over temperatures and clock frequencies probably due to improved on-card software. Professional users can more easily control the temperature levels and ensure proper operating levels. The manufacturer PNY hasn’t provided an upgrade process for existing owners of Nvidia Quadro M6000 unfortunately. Hence, if you recently purchased a Quadro M6000 graphics card for about $8,000 then you’re stuck with 12GB memory without advanced control of the temperature levels. It’s likely that the existing 12GB memory models will drop in price when the new 24GB models enter the market. It’s unclear when the 24GB models become available in New Zealand, but hopefully you’ll find them in PriceMe’s graphics card category shortly. More information and specs can be found on PNY’s site.